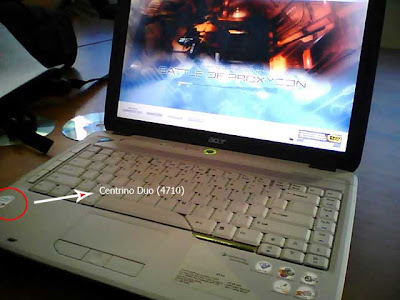 Angel in the Sickroom: My New Acer Aspire 4310 Laptop! i'm using a toshiba satellite for a year now. not state of the art but the best thing is, it was given to my family by a relative.hehe. i am thinking of getting an asus eee series once the moolah comes in although it doesn't have an optical media drive and works on a flash memory. but it will surely come in handy each night i watch online videos via crunchyroll. I love Toshiba laptops! also had a Toshiba Satellite which I adored but it died due to old age hehehe. Yup the Asus Eee Series is nice! Very small and very handy! You watch videos through crunchyroll too? I watch my anime through crunchyroll, especially naruto hahaha! They should give that website an award or something. But again if it gets too famous, the owner might start charging people to view his vids hahaha!